"As part of our ongoing commitment to providing our staff with the best possible housing, we are always looking for opportunities in good locations within Abu Dhabi. At the moment, we are actively recruiting for staff - both UAE national and expatriate - to fill a wide variety of positions." The company is currently looking to secure apartments in Abu Dhabi in Sheikh Mohammed bin Zayed City. The airline is continuing to grow, against the decline of the aviation industry as a whole. 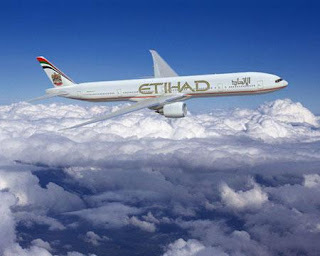 With a regular influx of new luxury aircraft being delivered over the coming years, the company is also expanding its flight destinations, with increased flights to China in December and its first flights to the Maldives in November. By the year 2020, the fleet will have increased by 100 aircraft and the staff will triple to 27k employees. Other Gulf airlines are also recruiting. Emirates Airline is planning to employ 80k workers over the next ten years and flydubai will recruit 600 pilots over the next four years to meet its needs. It's good to see a company exerting more than enough effort to take good care of its staff. It's a shame there's a lot of companies that do the same. It is always a must for the airway company to provide the best accommodation services for their workforce employees. This will allow them to work harder with eagerness and enthusiasm. It is not my dream to travel the globe. It is the people around me who inspired me to discover the world.